This is the view of the North Acropolis when looking down from Templo II (the Temple of the Masks). The acropolis was comprised of four temples running along the fore and then three more temples arrange around a plaza on the upper platform behind them. 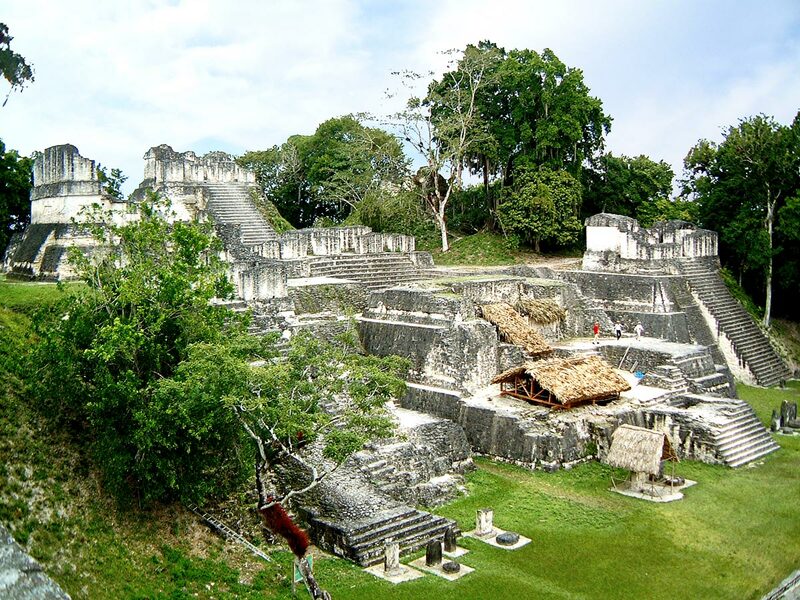 Of the front temples, the farthest right (Temple 32) is complete, the central one (Temple 33) has been deconstructed by archaeologists to reveal the previous phases of construction which includes two masks, and the leftmost two (Temples 34 & 35) are behind the tree.